We don’t have to wait any longer! SharePoint 2013 was released yesterday and I couldn’t wait to install it! Actually, there are a lot of new cool features and improvements in SharePoint 2013. SQL, Mobile, and BI has been improved. Sharing functionality has been enhanced, making it easier to follow people, sites, and conversations. SharePoint 2013 offers Shredded Storage, Themes, Request Management, New Search architecture, personalized search results based on search history, and more. 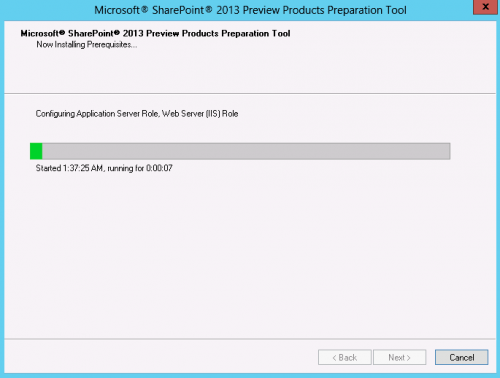 SharePoint Server 2013 installation is quite simple and similar to SharePoint 2010 installation. I’ve prepared a quick guide to walk you through the installation process. Access my environment now – https://use.cloudshare.com/Pro/ShareEnv/CPIXYPVR2WZF. 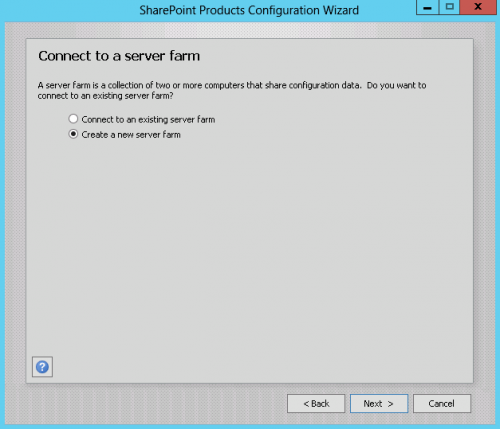 Before you start SharePoint Server 2013 Installation you need to prepare and plan your SharePoint Server farm. 1. 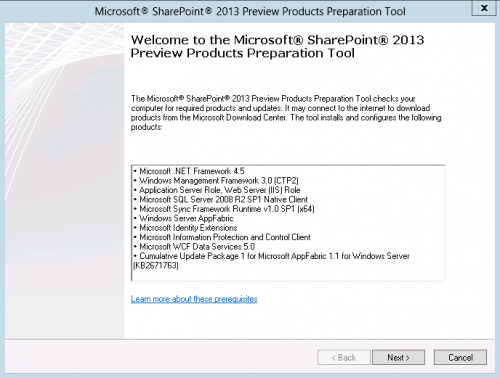 Before we can install SharePoint Server 2013, we need to run the SharePoint 2013 Product Preparation Tool. This wizard will install the necessarysoftware prerequisites and automatically configure the IIS server role in our server. It’s important to know that the installation of SharePoint Server 2013 prerequisites requires the server to restart a couple of times. 2. 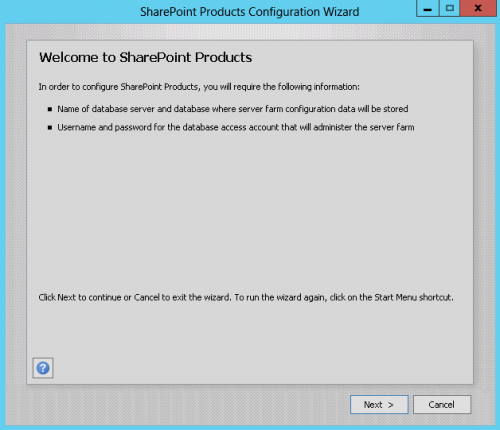 After the wizard finishes running, you can start the installation of SharePoint Server 2013. 3. 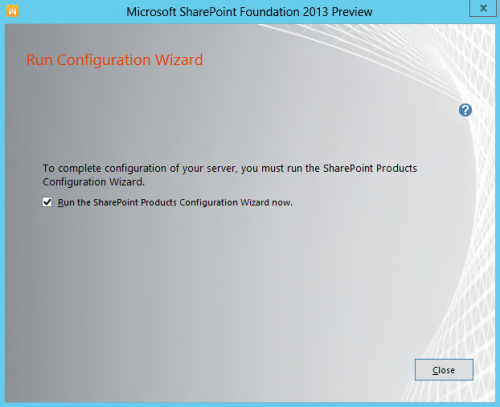 Once the installation successfully finishes, run the SharePoint products configuration wizard. 4. 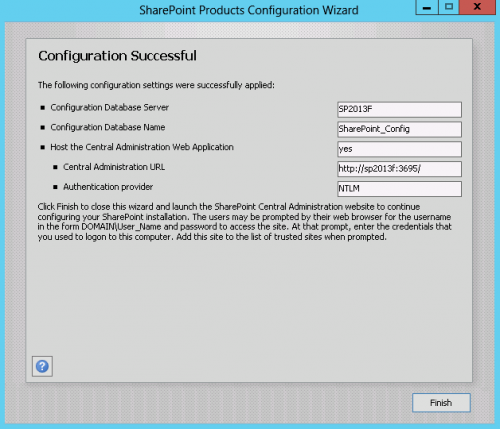 When you choose to run the SharePoint products configuration wizard, the following screen will open up. Click on Next. 5. Choose to create a new server farm and click on Next. 6. 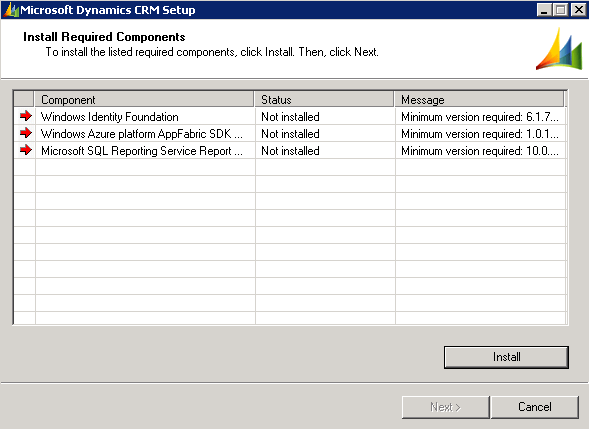 Specify the configuration database settings and click on Next. 7. 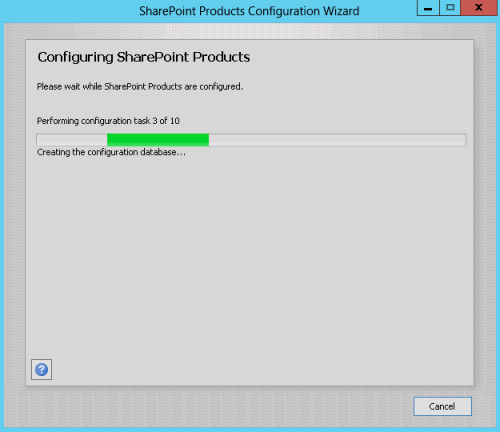 Wait until the SharePoint Products configuration process finishes running. 8. Congratulations! The configuration process completed successfully. Click on Finish. 9. 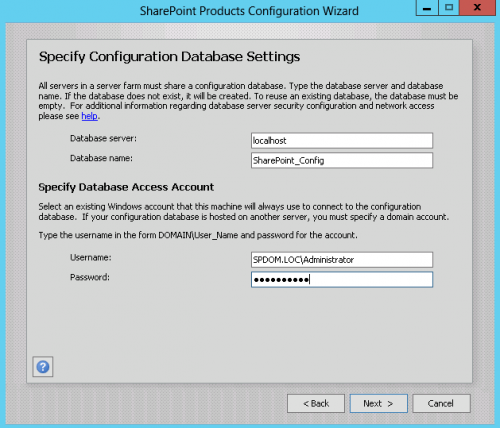 Welcome to the SharePoint Server 2013 Central Administration. 10. The Central Administration interface is familiar and has not changed much. 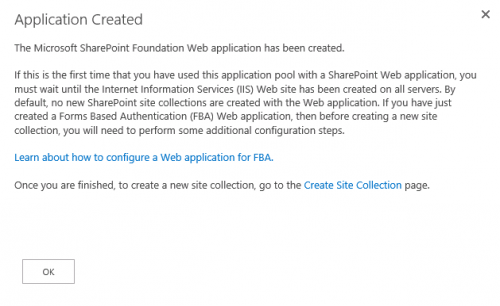 In order to create a new web application for your SharePoint site, click on Application Management –> Manage Web Applications. 12. 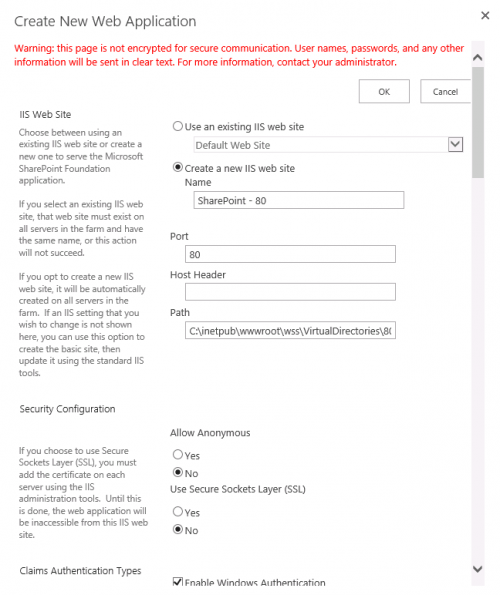 Specify the needed credentials to create a new web application and click on OK.
13. The process of creating a new web application might take a few moments. When the process finishes you will see the following message. 14. 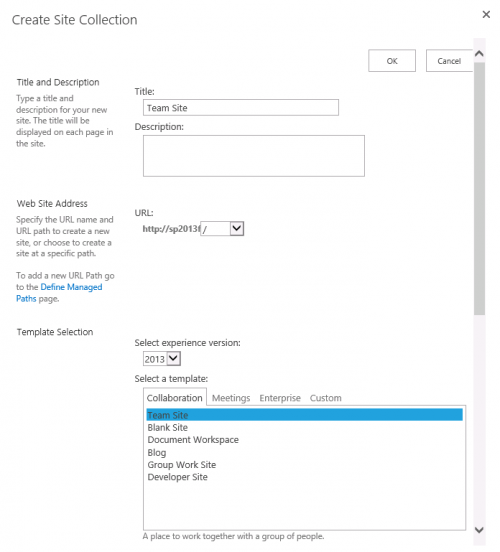 Click on Create Site Collection and specify the title, URL, and template of your new site. Click on OK.
15. Great! Your site has been successfully created.